Don't lose your cool, we bring the heat! 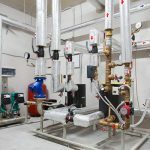 HVAC (Heating, Ventilation, and Air Conditioning) is a major subdiscipline of mechanical engineering, based upon the principles of thermodynamics, fluid mechanics, and heat transfer. 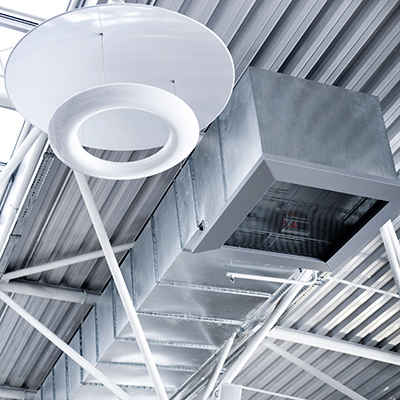 The HVAC division at G&S Management Services provides both commercial and residential heating, ventilation, and air conditioning services. Air conditioners require regular maintenance to enable them to function effectively and efficiently throughout years of service. Neglecting maintenance will mean a steady decline in air-conditioning performance, and a steady decline in energy efficiency. 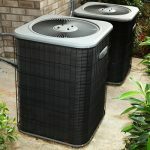 When your air conditioner needs more than regular maintenance, G&S Management Services can provide a well-trained technician to address any repair or maintenance issues within your system. G&S Management Services provides repair and maintenance services. We offer a Preventative Maintenance Agreement, which includes a regular check-up on your equipment and 24-hour service-on-demand for your peace of mind. Our primary goal is to make sure your equipment is functioning properly and to take the initiative to immediately repair discovered problems. We offer regular check-ups for your equipment to promote higher rates of operation efficiency and lower energy costs as well. G&S Management Services provides 24-hour, on-demand residential HVAC services as well. Annual inspections along with furnace and boiler cleaning ensures proper operation when you need it most. For real estate transactions, we provide pre-sale inspections of heating and cooling systems, including current condition assessment and recommended upgrades and repairs.